As KISS Kruise III comes to an end today back at the docks in Miami, Gene Simmons and Paul Stanley have posted comments on their twitter pages to The KISS Navy. 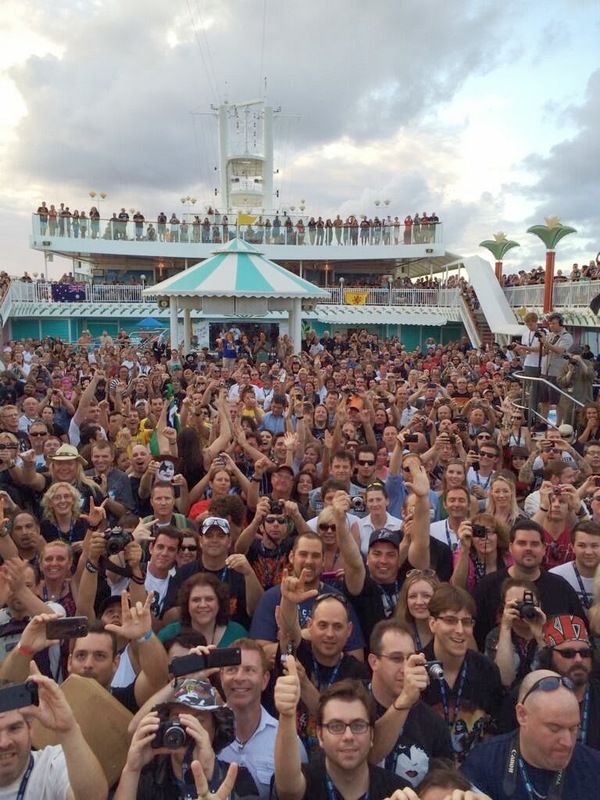 Gene: "Thank you all, from around the world for making KISS KRUISE III the best, yet. I'll remember our time together for the rest of my life." Paul: "On the way home about to take off. See you all neat year on KISS Kruise IV!"